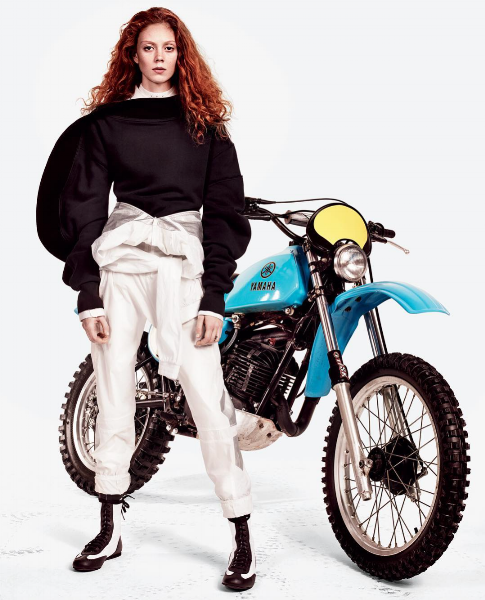 In this report we explore the motocross/motorcycle trend from a fashion point-of-view providing styling, graphic and design direction whilst giving you a deep understanding of the key influencers as a way to communicate with your own end-users. 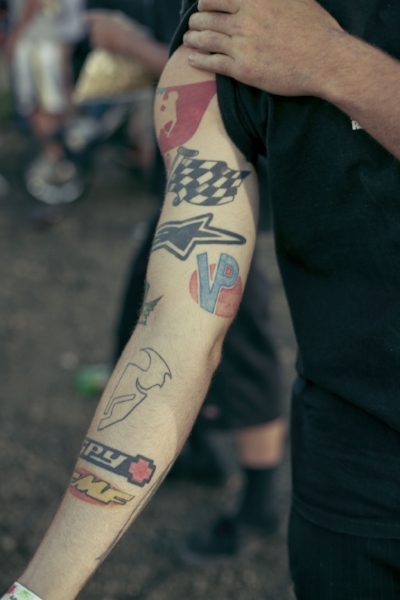 Motocross/motorcycle visual inspiration is ideal for fashion because it conveys a strong attitude and confidence, and style requires attitude. 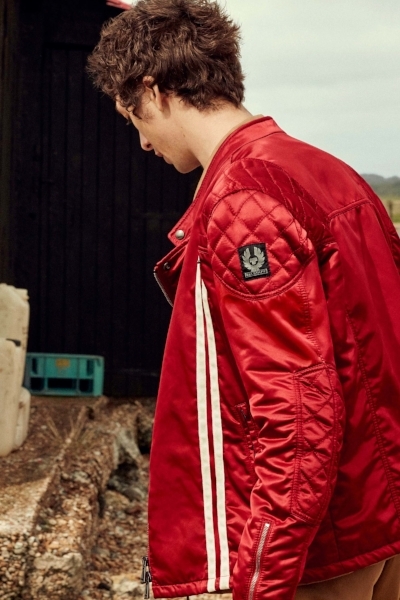 From racing to motorcycle, the clothes need to be specially designed to protect the body and tame the road. Driving a motorcycle gives a feeling of escape and freedom while playing with adrenaline levels. So naturally, motorcycle silhouettes create a strong confident attitude, enhanced by technical details and protective features. 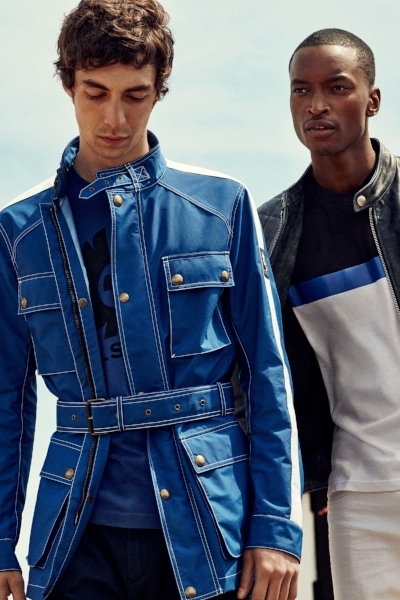 The motorcycle trend has a recurring popularity within fashion and has evolved into Resort and Spring/Summer '18 catwalks lead by Kenzo, Miu Miu, Moschino and Philipp Plein presenting sporty and utilitarian silhouettes, mixing motocycle/motocross staples (such as patches, bold branding, padding and panelling) with sartorial or romantic items. 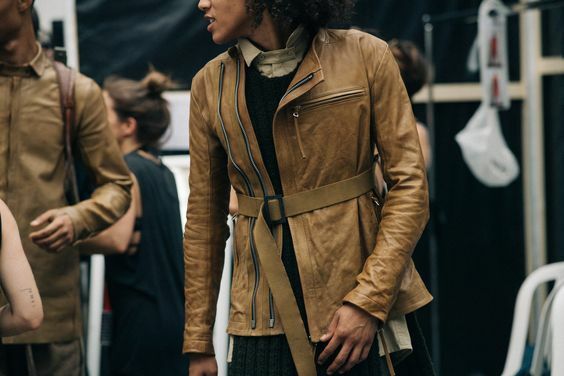 Designers such as Rochas, Givenchy and Agnes B. reinterpreted the mechanic's overall through colours and belting whilst staying quite true to the proportions. 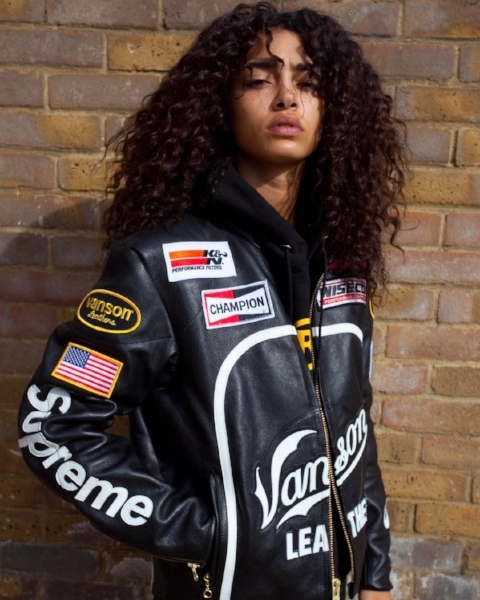 In June, Supreme launched another collaboration with motorcycle brand Coleman. 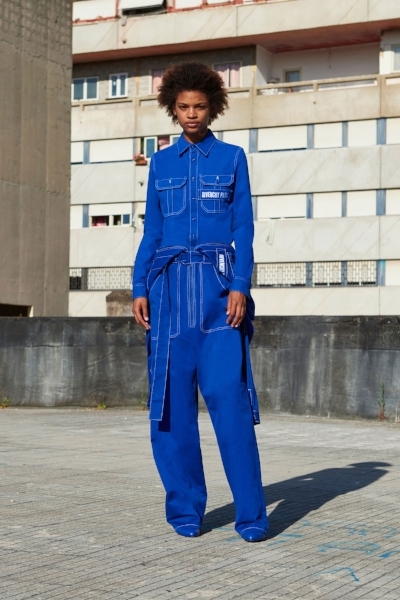 The emerging fashion brand Namilia takes this trend to another level with its last collection 'Join The Resistance' dressing women in deconstructed motocross-inspired silhouettes clashing haute-couture with street attitude. 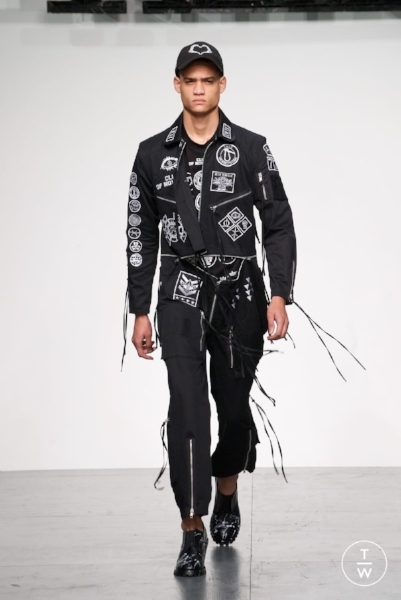 Going full circle, the evolution of moto-inspired fashion echoes the current dominating preference for design that draws from childhood and play, with graphics inspired by vintage and cartoons-like moto paraphernalia, offering strong stories made of flames illustrations. On Instagram female motorcycling communities around the world are finding a strong voice, promoting their lifestyle and beliefs and gaining exposure. Traditionally this sport relates to the male world but it increasingly becomes a sign of womens' empowerment. Inspiring female biker communities such as VC London (VC for Vicious Cunts) in East London, The Dream Roll in USA or also the Melbourne Cafe Racer Girls in Australia are clubs run by women for women. 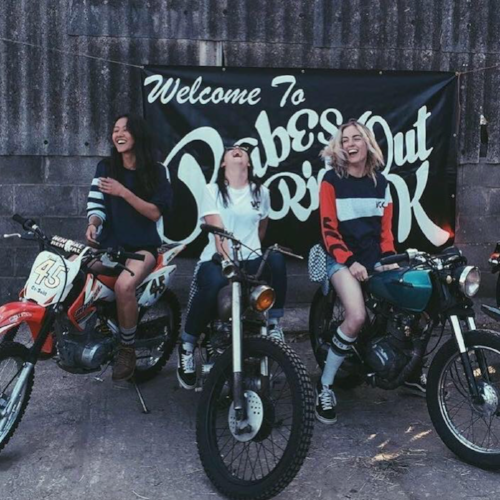 They use Instagram as a platform to share their passion for riding and normalise it as a regular part of their lives as women, mothers and wives. 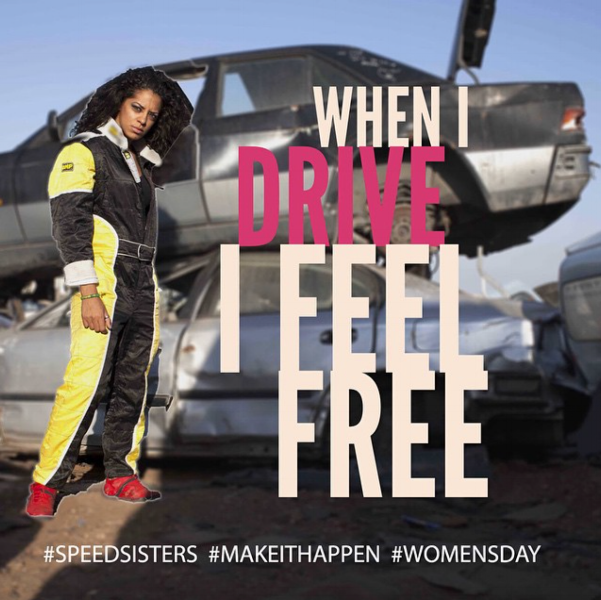 Focusing more on racing than motorcycle, the documentary movie "Speed Sisters" pictures the first female racers of the Middle East and breaks gender stereotypes in a part of the world viewed as extremely conservative for women's rights. The documentary also highlights the support they receive from their male peers and shows this is a tightly knit community. 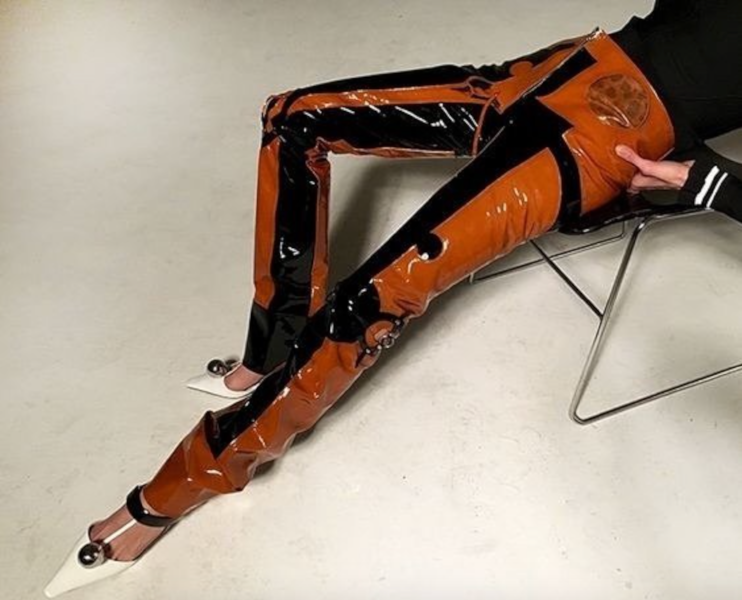 We really want to insist on the fact that this trend is not only about female empowerment. It is about attitude, appropriation, confidence and above all about equality. Hopefully in the near future gender equality will be so ubiquitous that fighting for it will be out-dated. See below our visual galleries with in depth inspiration and key references.